Genealogists who have Luxembourg ancestry are fortunate in that FamilySearch has the digital images online of civil records, church records, census records, and notarial records. Nearly all of these are image-only, i.e. have not been indexed and are browse-only. 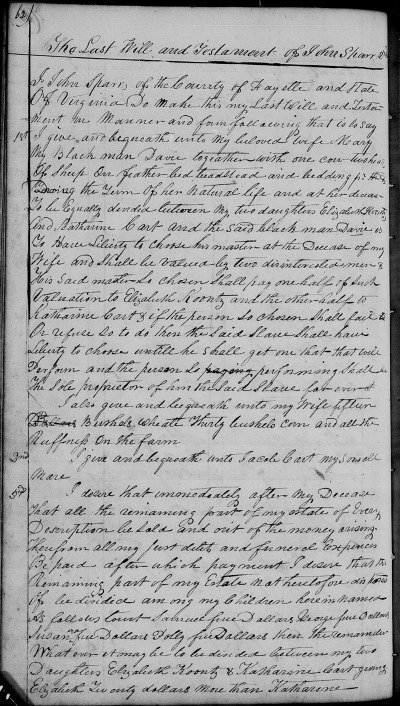 Birth, marriage, and death records found in the civil records collection are the first and easiest to research. 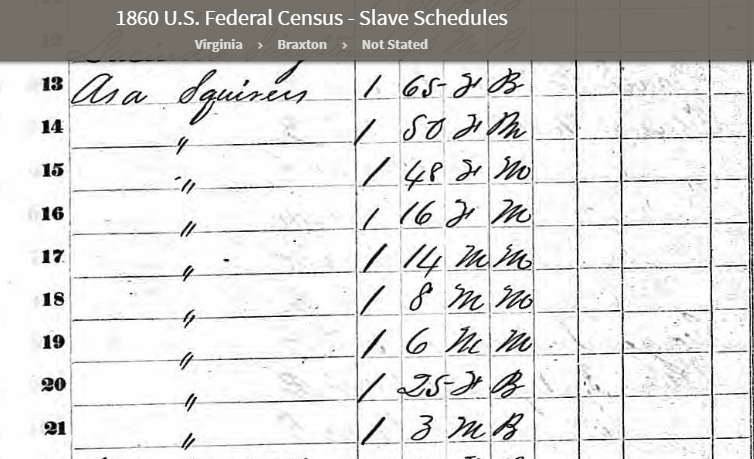 Although volunteers are working on them, only a little more than 100,000 of these records have been indexed. The birth and death records have four records per image while the marriage records have two records per image. There are 716,518 images. Let’s assume an average of three records per image = over two million records which need to be indexed. There’s no need to wait until indexing is finished. Even if the collections have not been digitally indexed, there are internal indexes which can be used to find records. This is the case for most collections no matter where the location. For example, will books in U.S. counties usually have an index at the front or back of the book. Clerks did not have search engines back when…so they created a list of names so they wouldn’t have to page through registers. For Luxembourg after the civil records were produced the town secretary made an alphabetical index at year’s end and included it in the registers (birth, marriage, and death) at the end of the year’s records. These are most helpful when you know the date and place of an event. 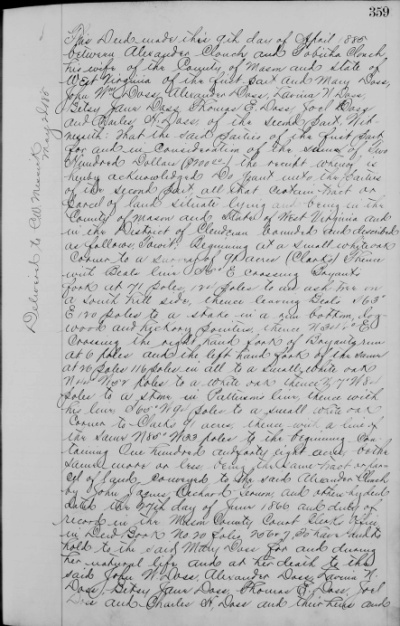 If a family lived in a town for a long period of time and had, let’s say, a dozen children there is an easier way to search for the births records. To further simplify a search, the clerks also created lists at the end of a ten-year period called tables décennales (TD). They begin in 1803. Created in alphabetical order they are arranged in order: birth, marriage, and death for the periods 1803-1812, 1813-1822, 1823-1832, etc. to 1922 the last publicly available year. The lists include the name of the person as well as the date of the event. Marriages are in alphabetical order by the surname of the groom only. Like the yearly index which was done at the end of the year, the ten-year index was created at the end of the ten-year period. One peculiarity of both the one-year and the ten-year indexes is that they were usually used the French version of the person’s first name. Peter’s birth record may have been created for Peter while the index has the name as Pierre (Katharina=Catherine). Most names are similar in German and French, however, there are some names which can cause a bit of head scratching. For example, Stephan (German) and Etienne (French) or Wilhelm/Guillaume. This is further complicated by the old handwriting they used. As with all indexing, there is the possibility of a mix-up in names or dates in the ten-year lists. Some may not be in perfect alphabetical order. 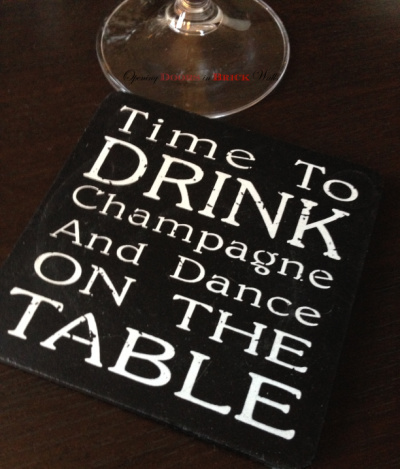 When I’m searching for a name in the tables décennales, I always take this into consideration. Recently while working on my post, Retraction of Allegations Made Against Maisy Vesque (1913-1969), another peculiarity of the tables décennales was brought to my attention. Something we should all be aware of with any index (handwritten or digital) we are working with – an omission! We may all know this but do we always remember this may be the case? In my retraction post, I included a plea for help. My friend Linda K., who has come to my rescue several times, took the bait. She emailed me the date of birth and birth name. I immediately checked the TD (tables décennales) to see why I had missed it. 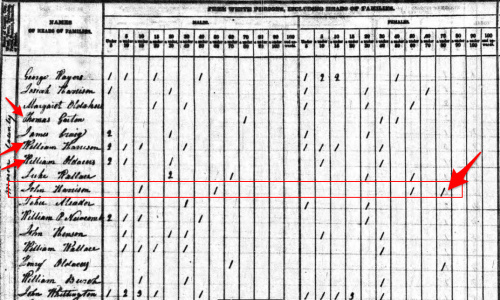 It had been omitted from the list (see image above) but was found on the 1912 birth records’ index (below). 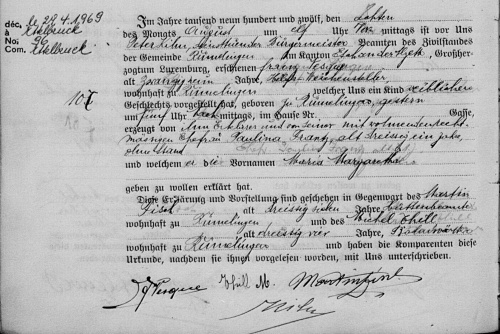 The record for Maria Margaretha VESQUE was easily found with the record number 107 found in the index.2 The birth record3 also included the date and place of death of the child as well as the record number in the margin which would make it easy to locate the death record – if it did not fall under the 100-year law for civil records. 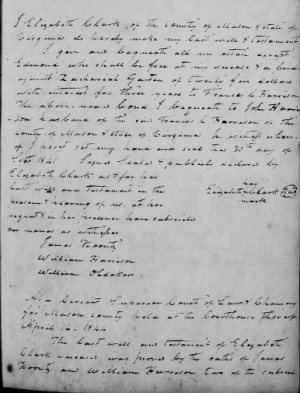 A closer look at the document made me wonder if the clerk might have NOT completely filled out the record at the time the father came to report the birth and sign the record. Information appears to have been pencilled in and written over. The lesson I learned was to check the yearly indexes even when a record is not indexed in the ten-year index as an omission is possible. The title of this post: When a record doesn’t want to be found could also read When we don’t do a thorough search to find a record. Sometimes we need to try harder to find them or admit we need help and ask for it. Rewriting the Biography: When Did James Sims Die? 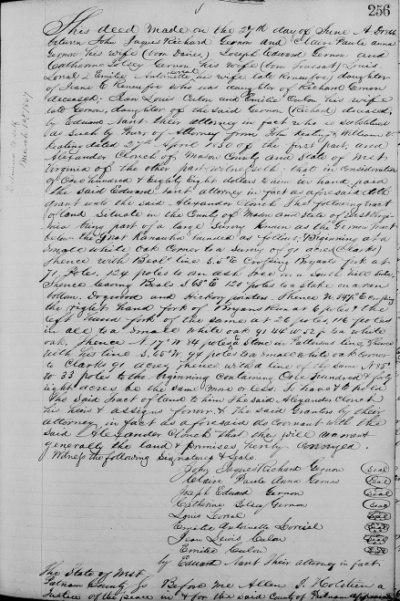 Many of my West Virginia cousins and genealogy acquaintances know my 5th great-grandfather James SIMS (1754-1845) of Nicholas County is one of my favorite ancestors to research. I worked with a group of descendants sixteen years ago and wrote a lengthy biography which is attached to hundreds of trees on Ancestry. It is now time to review the information I used in writing the biography and attempt to find more of the missing pieces. One question which has not been settled is the year of death of James SIMS. The exact location of his grave in the Simms Memorial Church Cemetery in Swiss is in doubt as the original stone marker was displaced and lost many years ago. Two memorial plaques are in the cemetery. The marker with the year 1838 was secured from the Veterans Administration in 1979 by George R. Penick, Jr. Mr. Penick who compiled information on the descendants of James Sims spoke with some older family members who assumed James SIMS died in 1838. Mr. Penick did his research over 40 years ago and did not have the resources we have today. 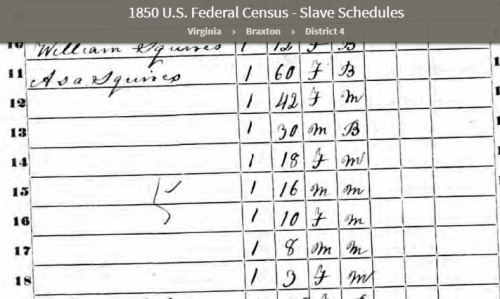 He likely did not consult the 1840 census as James SIMS age 80 thru 89 was enumerated with his wife, his youngest son George Washington Sims, and a younger male – perhaps a grandson who was helping on the farm. 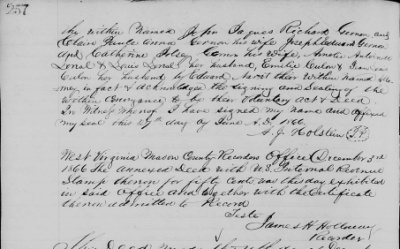 I have not been able to find out who placed the marker with the 1845 year of death which is more likely as James was living in 1840. 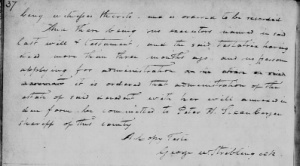 In 1848 a bill of complaint was filed by attorney John Reynolds in the Circuit Supreme Court of Law and Chancery for Nicholas County with George H. Lee, Judge, seeking to have the court provide for the sale of the 125-acre farm near Beech Glen left by James SIMS when he died. The transcript names heirs who would have been living at the time and has also been referred to as a partition suit. The date of death of the deceased was given in the bill as 1836 which cannot be correct due to his being alive at the time of the 1840 census. 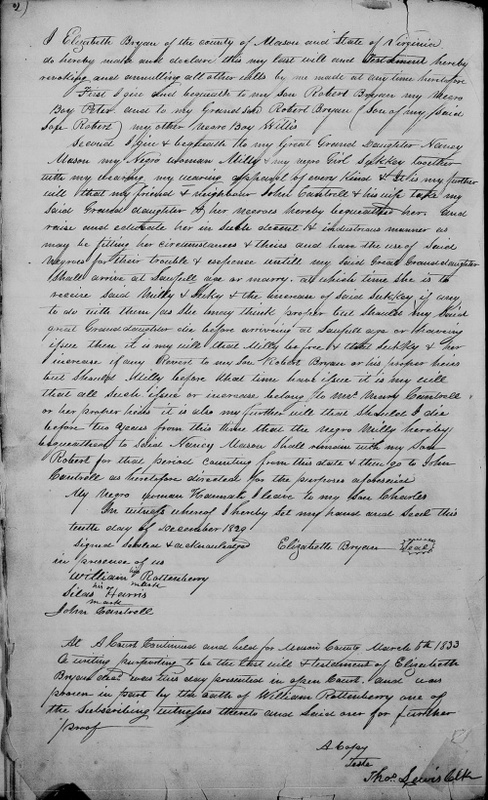 Although FamilySearch now has many records online for Nicholas County, I have yet to locate the original partition suit. The transcript was found by Willard E. Simms of Cozaddale, Ohio, in the DAR file of Virginia Bondurant Johnson and shared in a letter to John T. Simms, of Charleston, West Virginia, in 1947. Without a copy of the original record, I cannot be sure that the information in the transcript is correct. When did James SIMS die? FamilySearch now has many “new” browse-only record collections available for Nicholas County, West Virginia. In the Order books, 1844-1928 I found four documents which mention James SIMS in the volumes for the years 1844-1871. 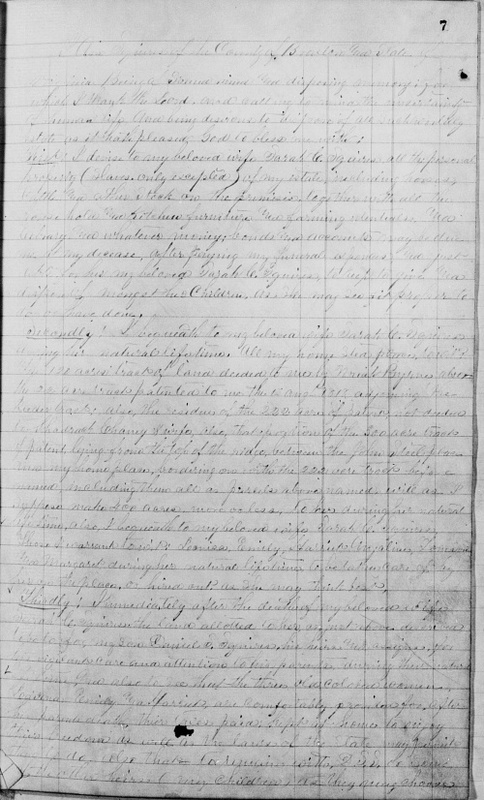 At a Court continued and held for the County of Nicholas on Wednesday the 13th day of November 1844 present William D. Cottle, Bernard Hendrick, John Mc Hamilton. This now places the death of James SIMS at after this date, 13 November 1844. Eight months later another record was recorded in the Order Book. As we see here on 12 August 1845 James SIMS was still living. Was he exempted from paying the levies due to his age or infirmity? 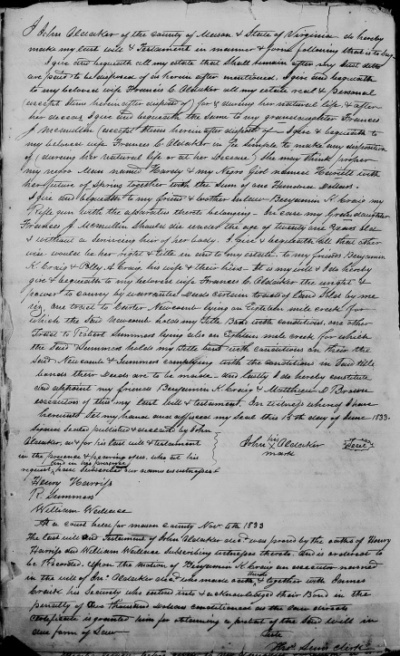 James was born in 1754 per his own declaration made in 1834 and would turn 91 years old on 8 October 1845. The last two records found add a new date to the equation. 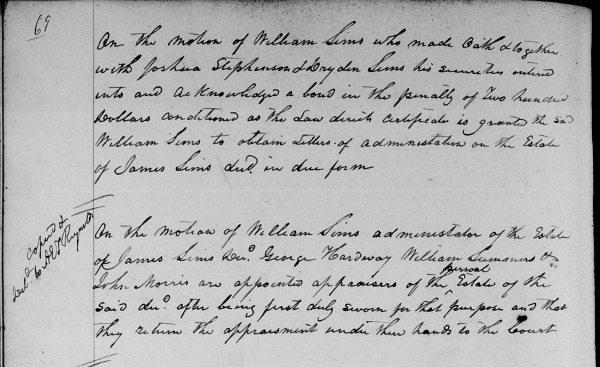 On the motion of William Sims who made oath & together with Joshua Stephenson and Dryden Sims his securities entered into and acknowledged a bond in the penalty of Two hundred Dollars conditioned as the Law directs certificate is granted the said William Sims to obtain Letters of administration on the Estate of James Sims decd in due form. Sometime between 12 August 1845 and 10 March 1846, James SIMS passed away. He did not leave a will and letters of administration and the appraisement of his estate were ordered. His son William SIMS was one of the justices of the court. How long after his death would he have waited to start proceedings to have his father’s estate administered and appraised? 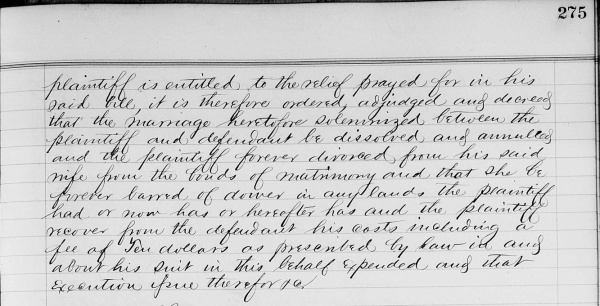 Previously the court was held on 10 February 1846, 13 January 1846, and 12 November 1845? Could it be he died in 1846 and the year 1836 seen in the partition case was an error of ten years? 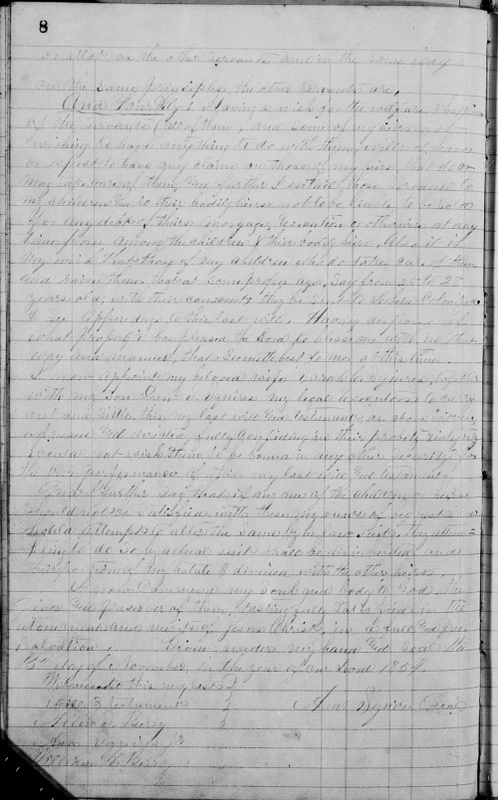 For now, I will list the death of James SIMS as between 12 August 1845 and 10 March 1846. Previously I had between 1840-1848 as these were the last census year he was found and the year the partition suit was filed. I am quite happy with the range I have been able to narrow down to. The next question I have may not be as easily answered. 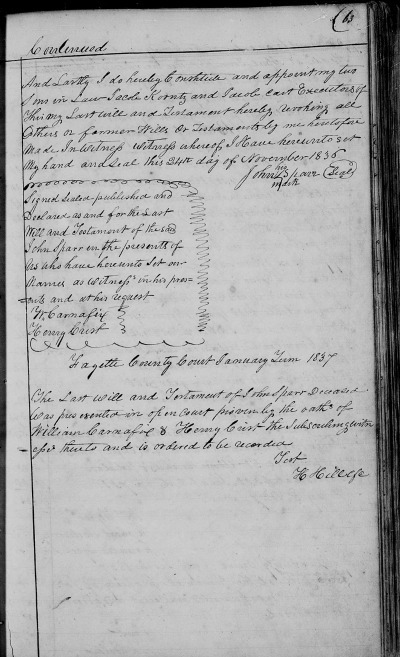 If the estate of James SIMS was appraised6 then the appraisement would be found in the West Virginia Will Books collection at FamilySearch. 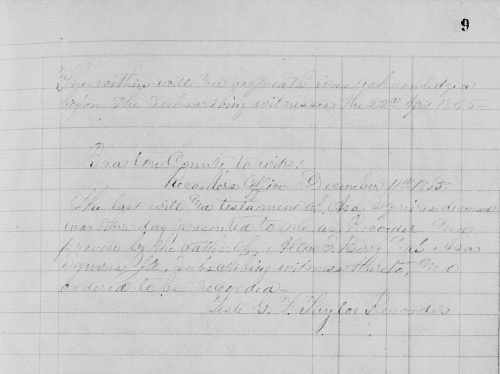 Although I have not checked page by page, I found that at one point in the Nicholas County will book for the period there are records missing between July term in 1844 and 1865 with one will from the October term in 1857 serving as a placeholder between the 1844 and 1865 records. Are the records out of order? Where could the missing years be? I asked this question in the Nicholas County WV Genealogy group on Facebook. One researcher has been to the Nicholas County courthouse several times to do research. She was told at least two wills books may be missing and was lead to believe they are unsure of what became of the books. William Sims adm. of the Estate of James Sims decd. presented in Court an appraisment & Sale Bill of the Estate of the said Decd. which being seen and inspected by the Court is ordered to be Recorded. 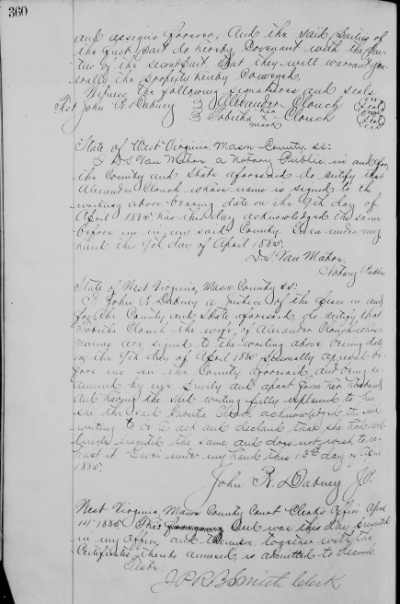 Author Cathy Meder-DempseyPosted on February 7, 2018 Categories Biographies, GenealogyTags appraisement, FamilySearch, letters of administration, Nicholas WV, Order book, Sims14 Comments on Rewriting the Biography: When Did James Sims Die?